Personalise your Dower and Hall Cherish locket with this Sterling Silver clover treasure embellished with sparkling white topaz gemstones. 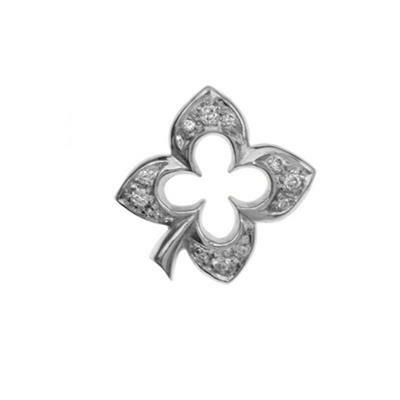 Wear this lucky charm in your locket and celebrate all the good in your life. The collectable treasures capture your most precious moments and create a personal accessory that can be cherished for years to come. This charm is 12mm in size and fits the medium and large Cherish lockets only.